When will be Today at Wimbledon next episode air date? Is Today at Wimbledon renewed or cancelled? 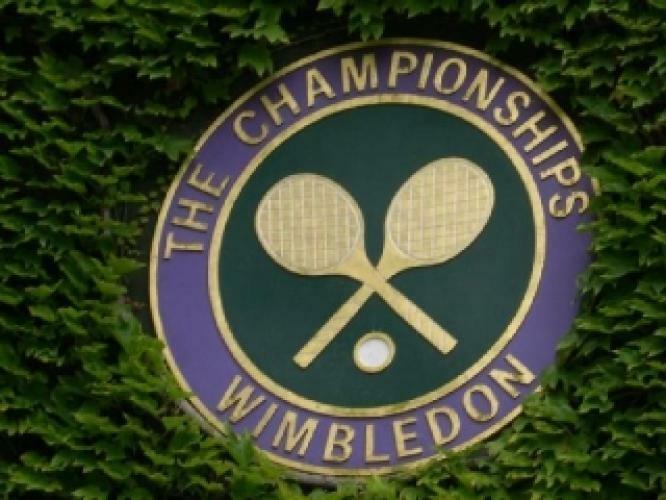 Where to countdown Today at Wimbledon air dates? Is Today at Wimbledon worth watching? A look back at the day's action and a preview of the big matches. Clare Balding introduces highlights from the first day of the 2017 Wimbledon Championships. Clare is in the company of tennis legends to reflect on a fascinating selection of opening round matches in SW19, including Andy Murray's first step towards what he hopes will be an historic third men's singles title. Could anyone emulate Marcus Willis's sensational display in 2016 in which the then world-ranked number 772 knocked out world number 54 Ricardas Berankis? Clare Balding presents highlights from the best of day two's action at the 2017 Wimbledon Championships. Joined by stellar names from the world of tennis, Clare and guests review the key talking points and moments as the first-round matches are concluded. Clare Balding is your host for highlights of the third day's play at Wimbledon. Clare and guests from the world of tennis bring you the best of the action and crucial talking points from the key second-round matches at the All England Club in SW19. Clare Balding is your host for highlights of the fourth day's play at Wimbledon. The All England Club once again is the venue for the world's most iconic tennis tournament and Clare and guests review the best of the day's play and major talking points. Clare Balding is your host for highlights of the fifth day's play at Wimbledon. Clare and guests from the world of tennis bring you the best of the action and crucial talking points from best of the third round of matches at the All England Club in SW19. Clare Balding presents highlights of the sixth day's play at the 2017 Wimbledon Championships. Clare Balding hosts highlights of the day's play from the Wimbledon Championships. Clare and guests dissect the day's key talking points and discuss this year's quarter-finalists. Clare Balding presents highlights of the day's play from the All England Club. Clare is joined by legends from the game of tennis to reflect on the women's quarter-final action. Clare Balding introduces highlights from the men's quarter-finals at the 2017 Wimbledon Championships. Clare is joined by legends of the game to analyse the key moments from the day's play. Highlights from the day's play at the 2017 Wimbledon Championships. Clare Balding and guests analyse key talking points from another busy day at the All England Club. Clare Balding and guests bring the best of the action and all the crucial talking points from the men's semi-finals at SW19. Clare Balding presents highlights of the penultimate day's action at Wimbledon 2017. Top of the bill in the day's action was the ladies' singles final. Clare Balding presents highlights of the final day's action at Wimbledon 2017. All eyes are on Centre Court today and the men's singles final on the hallowed SW19 turf. Today at Wimbledon next episode air date provides TVMaze for you. EpisoDate.com is your TV show guide to Countdown Today at Wimbledon Episode Air Dates and to stay in touch with Today at Wimbledon next episode Air Date and your others favorite TV Shows. Add the shows you like to a "Watchlist" and let the site take it from there.